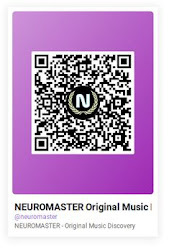 Add Your Favorite Sounds Like: Röyksopp, Crystal Castles, Parov Stelar (official), Ivan Gough, The Knife Bio: THE FUTURE IS NOT FAR BEHIND NEUROMASTER - Melbourne Australia - Original Music + Nick Saffron + Melbourne Australia. Unique Original Sounds. Music That is Addictive, inspirational.